Photo credit: Jill Robidoux, CC BY 2.0. Kim (not her real name) is a 27-year-old barista in Rochester, New York. So, Kim, how much are you earning? Annually? I don’t know, because I’ve gone through a lot of transitions in the last year. I earn $10 an hour, work about 27 hours a week across 4–5 shifts, and my average tips per shift are about $45. This includes dead days where I make $25–30, and good days where I make $70+. But those earnings are probably relevant in some way, because one might expect someone in my position/profession to make very different decisions than I do. Explain a little more about what that means. Most 27-year-old baristas probably aren’t as financially unencumbered as I am. A lot of my peers (baristas and otherwise) have student loans, a lot of them are paying off cars or struggling to buy one, have savings goals that are super far off, or just generally have something in their life that could be fixed by a lot of money. I’m REALLY REALLY PRIVILEGED and a little lucky. I have no debt, my car works, and I have well over six months of my expenses in savings. Basically, money is not a problem in my life right now! At all! And yet you are about to get a large sum of money! I am! I am about to receive a gift of $10,000! I don’t actually need it for anything right now. I totally get it. It feels embarrassing to have more money than you need when other people have so much less. How is this gift coming into your life? So, my mom was not the breadwinner when I was growing up. She did not work at all until I was probably 13, after my parents divorced (they are now pals, many years have passed, etc). She started a business in her 50s after getting really frustrated with the jobs she did have, and she’s rightfully really proud of that. She and my dad were both happy to cover college costs (because they could, and because they did not get help from their own parents, really, and wanted their kids) and to make it so that their kids did not have to make decisions about their lives based strictly on money. A few years ago, my mom told me she wanted, as a matter of her own values and I guess a little bit of pride, to gift each of her children $10,000. The idea is that we’re all (three of us) in our late 20s-early 30s, very transitional and exciting years, and there are a lot of situations in which $10K could make a huge difference. She gave my brother his $10K a few years ago when he was buying his first house, and that makes perfect sense and was appropriate. I did not, ever, count on this money for anything. I never think about it. I never fantasized about it. She told me, about a week ago, that she wanted to give me my $10K this year, and I’m sure she has her reasons, but I have no big life transitions right now! Does she know something I don’t? I dunno. So you knew you would receive $10K at some point, but never thought about what you might do with it? Correct. I also thought that my mom would not bring it up until I said, “I need to do this big life thing like buy a house or move to another country or have a wedding!” She mentioned it, long ago, as a matter of conversation, not as a big ol’ sit-down talk about life at all. I’m not totally clear on why she’s giving it to me now. HAHAHA did we give good advice? A ton of people said they’d pay off some or all of their debt. A few people said they’d take off and travel. At least one person said plastic surgery. A lot of people also said that $20K wouldn’t cover all their debts. I don’t have debts, and I also feel an obligation to treat this as MAGIC MONEY that helps me do the big thing in life somewhere down the line. Paying off debts, traveling, and the like feel like things I should be doing every day, every month, every year. So I feel like I have to honor the “purpose” of this money. Does that mean you’re going to save it until the big thing comes along? Probably! But the traditional wisdom of scrimp and save and put away is actually crap, right? Because no savings account or CD keeps up with inflation. I don’t see a big life thing on my horizon. It could happen in a year or two I guess, or it could be five or ten years before $10K means anything to me. That said, I don’t want to do anything high risk with this money, or anything that’s going to make it inaccessible for a super long time. After all, anything can happen! I have an emergency fund and good credit, so while I can deal with an emergency, I guess I could be in a very different place in a year. I could decide year, it’s time to get married/buy a house/do a huge expensive trip for a long time. So what’s the middle ground? Not too high risk but not so safe that you don’t earn any interest? LOW COST INDEX FUNDS? LOW COST INDEX FUNDS are fo’ sho an option. I thought about dumping this into Betterment or Wealthfront or or something to that effect (I have a wee little baby account on Acorns with about $500 in it). I thought about just putting it in a one-year CD for the moment to put off the decision. I am also considering something that seems extremely high risk: a peer-to-peer loan with a highly trusted friend who will pay me back in one year with 5 percent APR. I am totally comfortable parting with the money for a year, but not much longer than that for the moment. There was something on Catapult yesterday about a friend who took on a mortgage so that her friend could buy a home. Whoa. I would not take on a mortgage, I don’t think. I’d be handing this over to a friend who is already very financially savvy and stable, but he chooses to use local, small loans whenever possible. 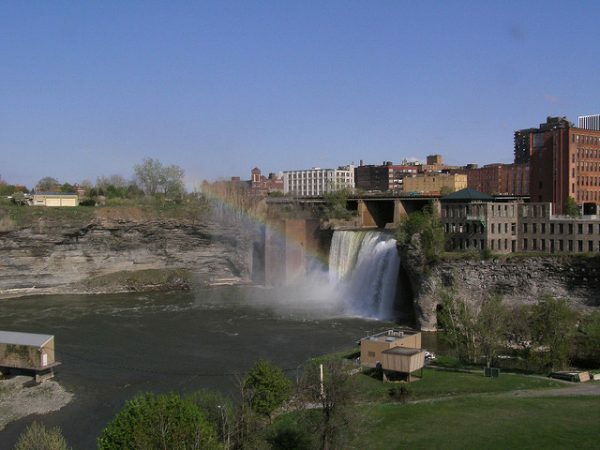 Part of that is because his line of credit has a higher interest rate than what he offers on peer-to-peer loans (so both he and the lender benefit in some way) and part of it is that this is an obsessively communal, locally-focused city—so using local money, from within the community, is a value quite dear to Rochester’s little heart. Also, he owns and buys real estate—that seems important. He isn’t just playing with money. But it is cool that you have this option! YES IT IS. I assure you, there is no HGTV-like anything going on in my community. He employs tons of marginalized people, does a lot of education with his crews, etc. Did this person approach you after learning about the $10K, or did you approach him? He approached me, but with zero pressure. He made it clear that he did not have an intense need for this money, and expressed what I explained (mutual benefits, focus on using local money). I’m leaning really strongly toward loaning the money to my friend. I like that the money will stay in my community and be put to good use before it cycles back to me. I care a lot about my city, but I’m not out there buying houses, employing marginalized people to get them in rentable shape, and offering affordable housing options, etc. But I can do something to financially support that! My partner’s step-mom gave me a few questions to ask my friend that would clarify the actual level of risk and his “on-paper” trustworthiness in terms of this $10K loan. I trust his character, intentions, and skill with money, but she does this for a living, so obviously she had better insight. One more question, because I realized we hadn’t covered it yet: have you thought about saving this money for retirement? Very briefly, I did. Saving for retirement—contributing to my IRA or whatever—seems like something that isn’t or should not be the domain of “windfall” money. That’s something I have to be doing regularly. I haven’t 100 percent come to a decision about this $10K, but talking to people—including my partner’s step-mom, the CPA—has made me re-examine the ways I’m managing savings. I’ll probably move my IRA to Betterment or something, in light of some of the conversations I’ve had, especially with her. Got it—I didn’t realize you also had an IRA! You seem to have everything in order, financially. I kind of do, but I feel like I can’t take credit for that! It’s 98 percent privilege, 1.5 percent luck, and 0.5 percent making good decisions. Like, when I got out of college, no one was handing 21-year-old kids credit cards, so I didn’t have one for a couple of years. My parents didn’t have a lot of specific conversations about money growing up—mostly I knew they didn’t want their kids worrying about money—so I also straight up did not understand the difference between a credit card and a debit card until I was embarrassingly old. I was privileged in that I never worried about having a roof over my head, but I was way behind in terms of any real financial literacy. How did you learn everything, then? I didn’t, really. I knew to have a checking account and a savings account, and to contribute to savings regularly. I never put anything on a credit card I couldn’t immediately pay off (it didn’t occur to me to do that, and my credit limit was tiny in the beginning anyway). My IRA exists because a few years ago, during tax season, my dad told me to use $1,000 to open one, and I was like, “Whatever you say, Pops!” I put chunks of money in it occasionally. I don’t feel like I know a lot about money. I read The Billfold, obviously, but there’s so much information out there, it’s hard to sift through it. It’s one of those situations where the more I learn, the more I realize I don’t know. With that in mind: what advice do you have for Billfold readers? Oh, man. Recurring deposits into savings, no matter how small. I’d say don’t rack up credit card debt, but I don’t think most people end up with credit card debt because they think it will be fun/they don’t know credit card debt is bad. Want to be interviewed for a future Doing Money segment? Email nicole@thebillfold.com.